This beautiful and striking monograph, the first major publication of Horace Bristol’s work, pays homage to his genius with over 100 exquisitely reproduced duotone images. 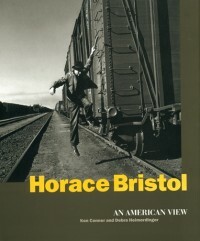 In the tradition of the great populists Alfred Eisenstadt and Dorothea Lange, Horace Bristol used his camera to record human, intimate moments: from poignant images of migrant farm workers during the Depression (his photographs inspired Steinbeck’s Grapes of Wrath) to compelling portraits of post-war Japan and Southeast Asia. An early staff photographer for Life magazine, Bristol was wildly prolific in the ’30s and ’40s, and tireless in his pursuit of the revelatory moment. With a humility, precision, and formal composition that is as striking today as it was innovative in its own time, Horace Bristol’s pioneering artistry assures his importance among the finest documentary photographers of our era.